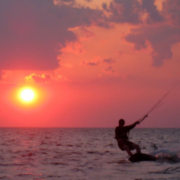 Puget Sound Kiteboarding Association - Pacific Northwest, Seattle, Tacoma, Bellingham and surrounding areas • View topic - (FIXED) Phone number is live! I have most everything working. I just have to get the text embedded on the webpage now. I can format it however and put it on the website wherever. I need to implement a whitelist so we don't have any schmuck sending us SMS messages. PLEASE let me know your notification preferences! I can suppress emails and/or texts for every person individually if you get tired of the messages.